Desiree Hartsock Married Chris Siegfried In Secret Ceremony: Bachelorette Defies Reality TV Odds! Desiree Hartsock and Chris Siegfried want you to know that they are married, against all odds! The Bachelorette’s Desiree Hartsock and Chris Siegfried actually made it down the aisle, despite getting engaged on the show not two years ago. In other words, they’ve somehow managed to do something that 90% of Bachelorette and Bachelor couples have trouble doing. Is it magic? Something in the water? Pure stubborness? The season finale of Desiree’s season aired in August 2013, and it’s now 2015. That means that throughout all this time, Desiree and Chris have stayed engaged. Reports suggest that Chris and Desiree got married in Palos Verdes in front of family and friends, but what I want to know is – did Desiree and Chris make a pact in blood to stay together? After all the drama of Desiree’s season, I just assumed that Desiree and Chris would stay together for a few months and then have the usual Bachelorette phase of fighting, breaking up, getting back together, and breaking up again. I mean, didn’t they want media coverage? I must admit, Desiree Hartsock has surprised me. Not only did she make it down the aisle with the man she picked during the Bachelorette – which in itself is a miracle – but she and Chris minimized the famewhoring that accompanied their wedding and married. Their wedding was NOT televised, it did not air on ABC, and we didn’t know it was happening until after it was over! All three of those things are practically unheard of in Bachelorette and Bachelor land, especially with the increase in reality TV famewhoring. I mean, can you imagine Juan Pablo Galavis doing this? 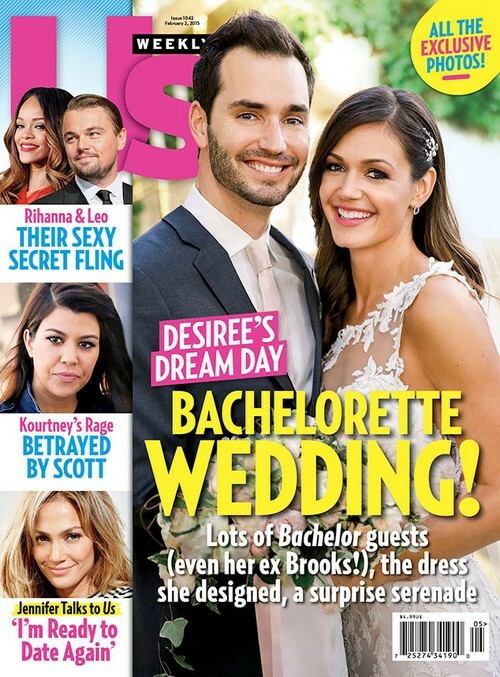 What do you guys think about Desiree Hartsock and Chris Siegfried getting married? Do you think they will stay together and stay married, or are they bound to split up eventually? Let us know your thoughts in the comments below. The Bachelorette Desiree Hartsock Worried Sick She’ll Never Find True Love! Jef Holm Twitter Bashes Desiree Hartsock: She’ll Never Marry Chris Siegfried – Bitter Former Bachelorette Winner! ‘True Tori’ Cancelled? Tori Spelling and Dean McDermott’s Reality Show Ratings Nosedive!